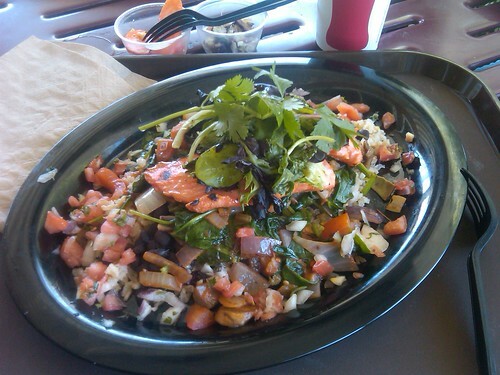 TACO MESA Healthy and Authentic debuts 20th Anniversary Menu and gears up for a year of celebration! The new 20th Anniversary Menu features changes and updates that enhance their original intention and highlight their consistent commitment to outstanding quality coupled with an unbeatable value to their consumer. 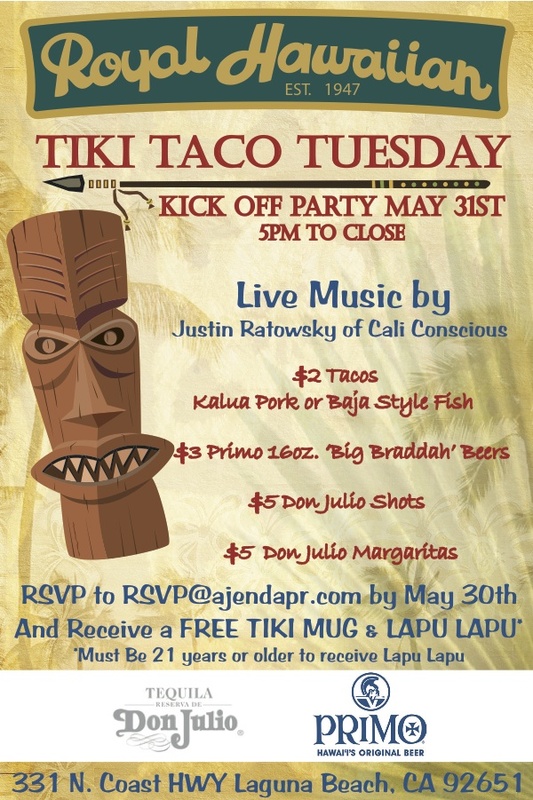 Founder Ivan Calderon is proud to announce a year of celebration at Taco Mesa. "Staying true to our philosophy of Healthy & Authentic we've developed a new menu with the help of our executive chef, Javier Zambrano which truly reflects our original intention. Ingredients that are organic, wild caught fish, and natural chicken and beef (free of steroids, hormones and antibiotics) as well as identifying gluten free options within our menu. We use recipes that have been passed down from our ancestors, the Mayan, Aztec and Spanish ~ fused with contemporary technique and innovation. We prepare food in small batches daily to assure quality and freshness." Taco Mesa has an ongoing committed to a 'green' environmental approach and is excited to embrace the new areas of opportunity to create an ecologically mindful dining experience which carries through to the back of the house. 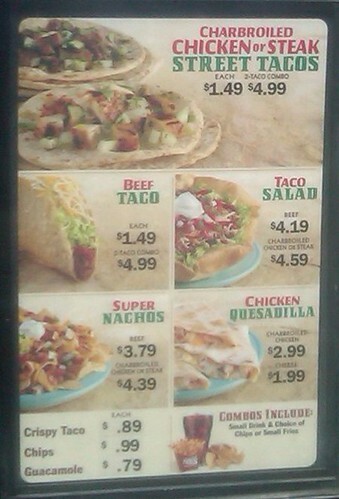 Changes and updates are in process and will be part of the year of celebration at all Taco Mesa locations. "It's a time of positive energy and appreciation for the past 20 years of growing our family business in Orange County. Our true partnership has been with the community and we feel deep gratitude for the steadfast support we have received throughout the last 20 years. We remain faithful to our original vision, commitment and to our community." Ivan Calderon has continued to step beyond his role as restaurateur throughout the last 20 years, maintaining a standard of excellence in business as well as a gracious and generous spirit of giving and community involvement. 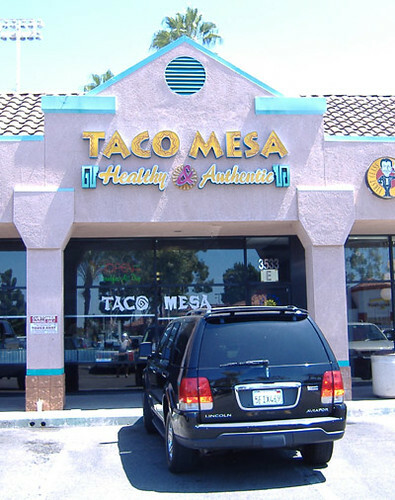 Taco Mesa originally opened on 19th Street in Costa Mesa, CA and still remains a local favorite at this original location. 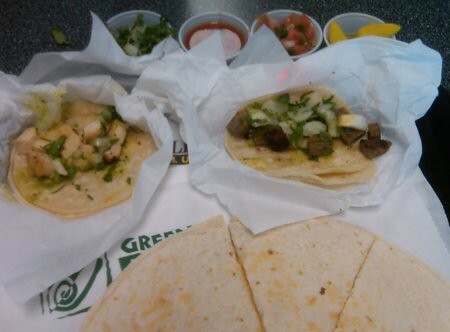 Since opening in 1991, Taco Mesa has grown to have 4 locations throughout Orange County: Costa Mesa, Mission Viejo, Ladera Ranch and Orange. 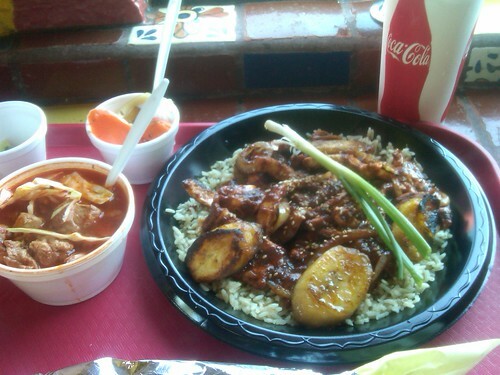 Taco Rosa Mexico City Cuisine was founded by Ivan Calderon as the 'full-service' concept with 2 locations, Newport Beach and Irvine - www.tacorosa.com. 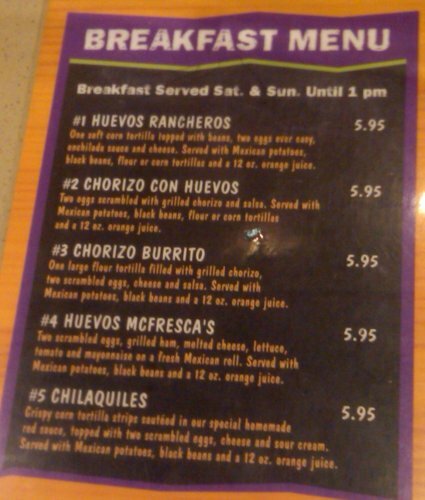 Just found out from Twitter recently that three locations of Fresca's Mexican Grill (Brea, Huntington Beach, Tustin) are now serving breakfast. 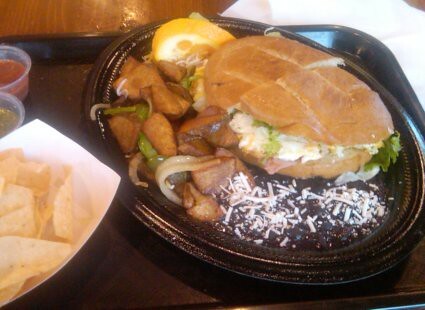 I tried it this morning in Tustin and got the "Huevos McFresca's" (hmm, now that name sounds familiar) which is basically a breakfast torta with "scrambled eggs, grilled ham, melted cheese, lettuce, tomato and mayonnaise on a fresh Mexican roll," with potatoes, onions and peppers on the side. 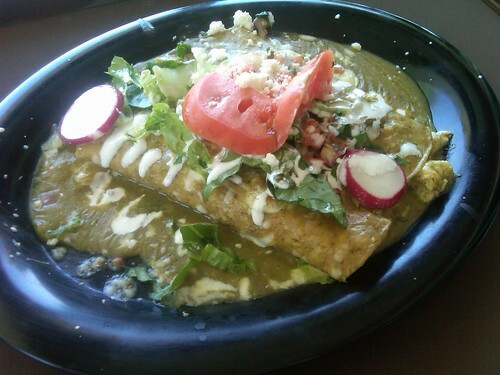 Other options are huevos rancheros, chorizo con huevos, chorizo burrito and chilaquiles. Each selection comes with a glass of orange juice. 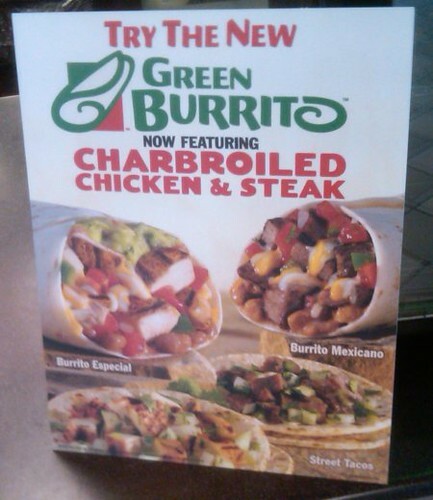 New Green Burrito Menu at Carl's Jr.
Del Taco's PR has just sent me the above image of their new Big Fat Crispy Chicken Tacos. Will be giving these a try sometime but coincidentally I went through one of their drive-thrus this morning and got a breakfast burrito and one of their new root beer float shakes. Normally I wouldn't have a shake at breakfast but I wanted to try this and I justified it by telling myself it was a late breakfast. They also have new Mac & Cheese Crunch Bites. 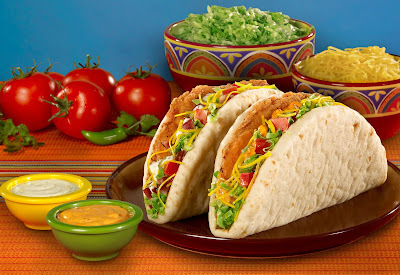 (Lake Forest, CA) May 2, 2011 – Del Taco’s Big Fat Crispy Chicken Tacos will have bigger taste than ever with the introduction of two new flavors - Creamy Chipotle, with a bold kick, and Bacon Ranch, an American classic made with ranch sauce and real bacon. Del Taco fans can receive a coupon for a free Big Fat Crispy Chicken Taco with any purchase when they “like” Del Taco on Facebook at http://www.facebook.com/deltaco. 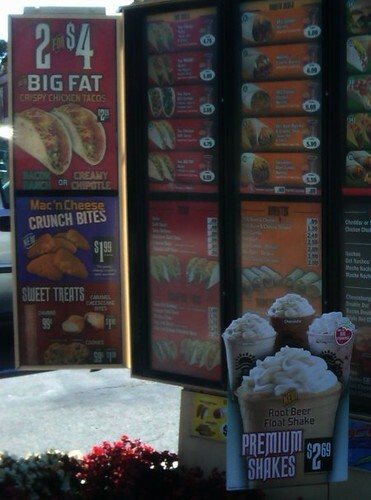 Fans can also join Del Taco's Raving Fan eClub at http://www.deltaco.com/ravingfan for free food and exclusive offers. I should say I love root beer shakes. Used to make them when I worked at Jack in the Box as a teenager by getting root beer syrup (minus the typically accompanying soda water) from the soda fountain and mixing it in with the shake mix. Now that I don't work at Jack in the Box anymore it's hard for me to get my root beer shake fix. 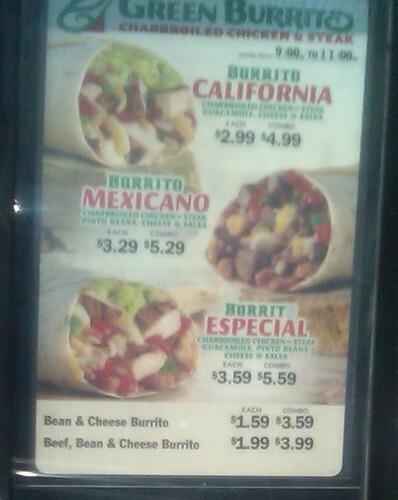 So, thanks, Del Taco.